i placed these into my leaf press a few years ago, and today i pressed them again–into service as a STILL blog image. i woke up to -27 F temps and it never got above the negative-teens all day. my dog went outside for a few minutes, and I watched him negotiate some snow drifts, shake his paws, which were surely getting numb, try to push through some more snow, and then just sort of give up, as if he thought that it was maybe more pleasurable to just sort of float off onto his ice floe, rather than fight the cold and snow any further. that was the extent of the dog walking that happened around here today. and this image is the extent of STILL blog image making. by the way for any of you smart alecks, those leaves are not toothy enough. 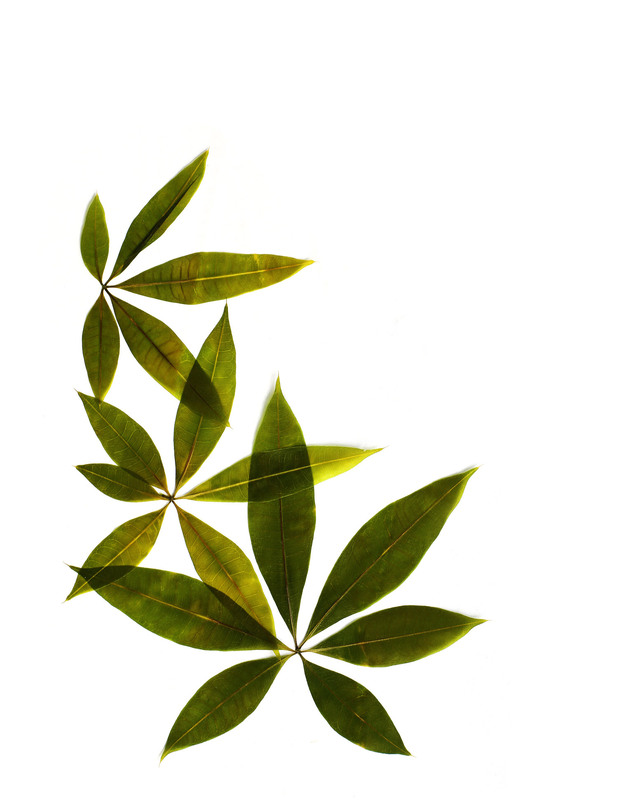 that is not cannabis sativa, but pachira aquatica.